Given the sheer size of municipal debt markets, an investor seeking to strike the right balance between risk tolerance, time horizon and desired yield may feel puzzled by municipal debt options and investment strategies. These fixed-income instruments, which have historically been viewed as a safe haven compared to equities, are often used as a diversification tool for many investors, but their inherent risks are often overlooked. After the 2008 financial crisis, the interest rate risk and credit-related risk served as a testament to the risks associated with the bond markets; it also became evident that fixed-income vehicles weren’t as safe as they were initially assumed to be. An aware fixed-income investor understands all the risks associated with his or her investments and employs appropriate strategies to mitigate as much risk as possible. 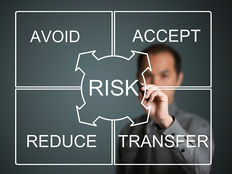 One of these risk mitigation strategies is known as laddering. In the rising rate environment, your overall portfolio can potentially decline along with the interest income; however, a professional bond manager building bond ladders on your behalf can prevent this. In this article, we will discuss bond laddering strategy as a tool to mitigate risk and how professional portfolio management can enhance your returns. A laddered bond portfolio consists of bonds with various maturities ranging from short- and mid- to long-term. As short-term bonds mature, the principal is reinvested into the ladder at the longest maturity (long-term). 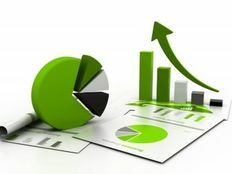 This strategy share similar traits with the “dollar cost average” strategy typically employed in equity investments, where an investor invests a set amount of capital at regular intervals to mitigate the market risk. To learn the basics of bond ladders, read here. Also check out whether muni ladders are right for you. Before going further into the potential benefits of bond laddering, let’s discuss the risk factors with each bond portfolio and how one can build an optimal risk-adjusted portfolio. Typically, one can associate four types of risks with bond securities: market risk, reinvestment risk, credit risk and income tax risk. Market risk is essentially the change in price of your holdings due to various factors like creditworthiness, interest rates and demand for the bond. 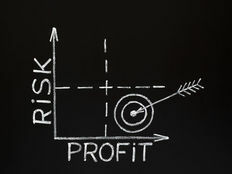 Reinvestment risk entails the possibility of reinvesting your matured security’s principal or coupon payments at a lower coupon, in a declining rate environment. This can affect your overall portfolio income drastically. Credit risk and income tax risk can both be mitigated through careful selection and ongoing monitoring of municipal bonds in your portfolio. It is common knowledge that longer maturities are often hit harder by interest rate hikes. In a well-constructed laddered portfolio, shorter securities mature as time passes. In the event that interest rates start to rise, your portfolio maturity comes down and the individual security gets less sensitive to interest rate risk. For example, if interest rates rose by .50% every year for the next 5 years, after that 5 years a 10-year security will have only 5 years left to mature and thus will be less affected by the total 2.5% increase in interest rates. Also, under the laddering bond strategy, all debt instruments are typically held until maturity; thus, the interest rate risk becomes nonexistent. A presence of zero-coupon bonds in your laddering strategy can play a part in the mitigation of reinvestment risk. Let’s examine three different interest rate scenarios that could occur during the reinvestment period. Rising rate environment – As proceeds from maturing bonds are invested in the higher-yielding longer-term maturities, the overall yield of the portfolio increases. Falling rate environment – In this scenario, proceeds will be invested at low-yielding longer-term maturities, bringing the overall yield lower. However, your portfolio will still have higher-yielding bonds to average out the overall yield. Stagnant rate environment – In this scenario, the portfolio returns become very steady and predictable for the investor. Given the size of municipal markets and numerous issuers, conducting credit analysis can be a daunting task for a single investor. This is where a professional bond manager can help you out. Besides, professional managers tend to have access to a wide array of municipal debt instruments along with a substantial buying power to negotiate favorable pricings. Although a professional can help you customise your bond ladder, you must keep the following things in mind. Every investor should have an “investor profile” based on his or her risk and return expectations. Although laddering is a great risk-mitigation tool, it can limit your yield potential. Investors must also take any call provisions into account before employing the laddering strategy. If a bond is called earlier than its actual maturity, it can have a profound impact on the bond portfolio yield. Laddering can serve as a great risk-mitigation tool for investors in addition to providing predictable and consistent returns. For a professionally managed strategy, the portfolio returns can be close to those of long-term bonds while being far less risky. Irrespective of the interest rate movement, laddering is a smart way to solidify your portfolio. By becoming a Premium member, you can get immediate access to all the latest Moody’s credit reports for municipal bonds across the U.S. and enhance your analysis of specific securities.